Dominant dogs who attack other dogs need aggressive dog training before the situation is totally out of control. But, if you understand how dogs think, it is possible to turn your aggressive dog into a dog who is fun to be around. 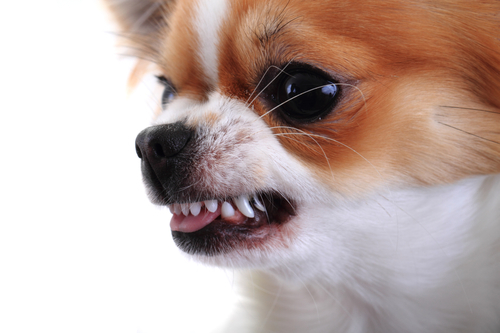 In addition to dog aggressive behavior toward people, dogs can show aggression toward objects or other dogs. If you are looking for information about aggression towards people, this article addresses that kind of aggression. When your dog is still a puppy, you should socialize him, getting him used to other dogs, new people, sounds and things. This chihuahua is giving an object or another dog a warning. He could use some aggressive dog training! 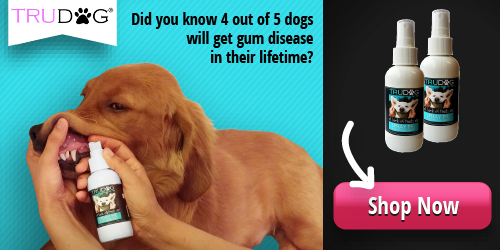 While this makes your dog sociable, in theory, some dogs don’t get the message. Most of the time this is because your dog thinks he is the alpha Pack Leader. Your job is to make sure that your dog knows that YOU are the Pack Leader. Perhaps you are viewing this page because your dog has fought another dog or dogs. Sometimes a puppy doesn’t do well with socialization. Most often a dominant dog tries to maintain his position as the Alpha and does so aggressively. When you are working with an aggressive dog, you need to be very cautious and take no chances. If your dog is trying to attack another dog, you could be hurt by being in the middle. 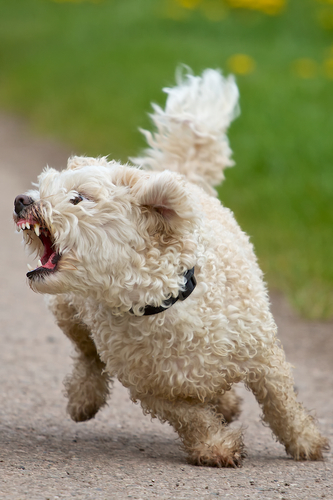 Dogs can be aggressive toward the oddest things. Our dog Skipper was afraid of the grooming clippers that we use to trim her. Your dog might be afraid of the vacuum cleaner or something as simple as a fly swatter. Moving – often very fast. Something moving fast should be chased and attacked. 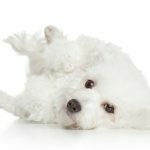 Causes stress in you – If your dog senses that this object is making you feel anxious, she will pick up on the anxiety and attack the object making you feel bad. At our house we feel somewhat anxious when it is time to groom Skipper. She is not cooperative and hates the clippers. Skipper has actually attacked the clippers, on occasion. At your house, you may feel anxious when you swat a fly or clip your dog’s nails. Your dog will act accordingly, if he feels that he needs to protect you. Of course none of these things deserves to be attacked. So how do you stop this silly (and potentially dangerous) behavior? Key to all dog training, obedience or behavior, is establishing that you are the leader of your pack. Not your dog. When your dog knows his place, training becomes so much easier! This video demonstration by Doggy Dan, Online Dog Training expert, gives you some excellent ways to approach aggressive behavior with other dogs. You can access his full line of videos for 3 full days for just $1. Note that Dan did not take any chances. They had a muzzle on the dog being trained, until they were sure that he would be OK. Take note especially of the difference, before and after training. Stay calm – Remember that a dog senses your emotions. If you are calm, your dog will stay calmer. Start at the lowest intensity – Dan kept the dogs far apart in the beginning. Gradually they walked closer and closer to each other. The owners read the energy levels of the dogs to decide when to get closer. Make nothing of it – If you turn your back on the dog’s perceived danger, your dog will think it is not fearful to you. If you are afraid of something (people or animals), you watch it closely. You never turn your back. Distract your dog – Sometimes this works. Use a toy or pretend that you are looking for something on the floor. Practice – Give your dog lots of practice and opportunities to do things right. Be patient until she is able to have more freedom. 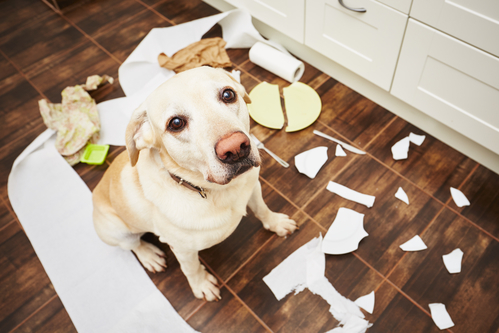 If the object of your dog’s aggression is a thing, you might let it lay on the floor of a room. Ignore the object and give your dog some good experiences in the room. Perhaps your dog will go over, sniff and explore the thing. And she might find that it is not dangerous, after all! You can view well over 100 dog training videos with Doggy Dan for just $1. Take advantage of this offer to watch them for 3 full days!